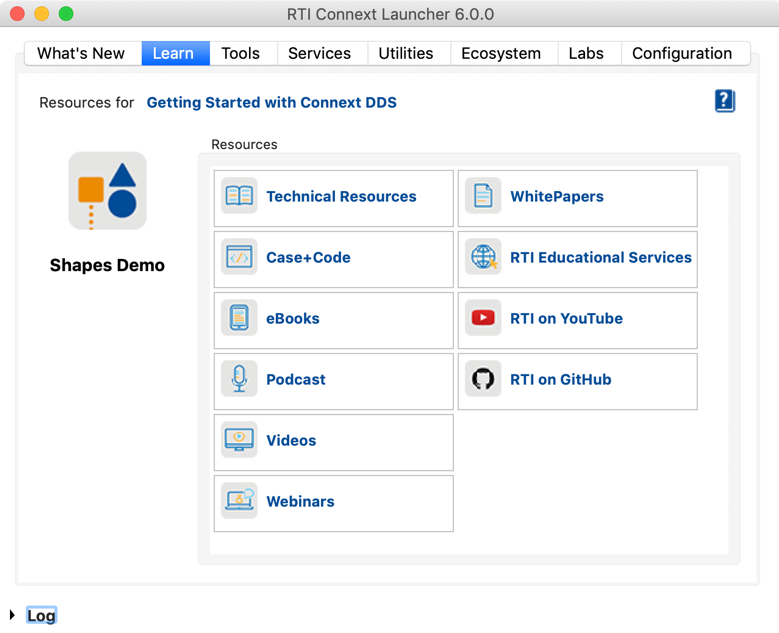 RTI Connext® Tools provide deep visibility into running systems, help troubleshoot application connectivity, solve complex data integration problems and speed time to market. Connext Tools are critical for Industrial Internet of Things developers whether they are just starting out with DDS or have been building DDS applications for a while. Connext Tools ease the entire development lifecycle - from design to production. Development and troubleshooting – Diagnosing a connectivity issue is challenging, especially during development when most debugging mechanisms are primitive. Tools that provide insight into a distributed system can help analyze the root cause, find the right solution and shorten product time to market. System monitoring and administration - Maintaining the health of application connectivity is critical in developing IIoT systems. Insightful tools that provide minimally intrusive visibility into running systems will enable developers to resolve operational problems, fine tune system performance and take preventative actions. Functional, systems and performance testing – Tools that provide a variety of ways to simulate error conditions significantly improve code quality and reduce the effort for both development and QA teams. Launcher is a "single pane of glass" view for insight into the entire Connext DDS environment. It keeps tabs on all your Connext Tools. 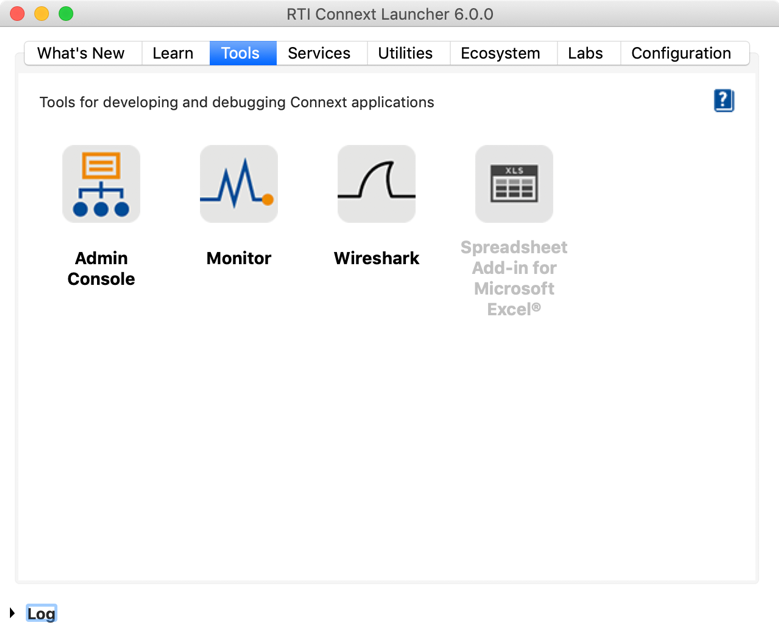 An intuitive Launcher interface helps effortlessly add new components and target platforms to the current Connext DDS environment, see what is already installed, find documentation and web resources, create new source-code projects and run all the Connext Tools and command-line utilities. Administration Console is an essential tool for troubleshooting and monitoring all Connext DDS infrastructure services as well as visualizing data directly from your system. Administration Console minimizes troubleshooting time and effort in all stages of application development by proactively analyzing system settings and log messages. Problems get highlighted, making them easy to find and address. Monitor helps troubleshoot DDS-enabled applications throughout the entire process of integration and testing. It also provides continuous visibility into deployed systems in production through real-time graphical views of the entire ecosystem of applications connected by Connext DDS. Monitor aids in diagnosing unusual behavior patterns and reduces risks associated with connectivity issues and network usage. Monitor is critical when it comes to performance optimization. 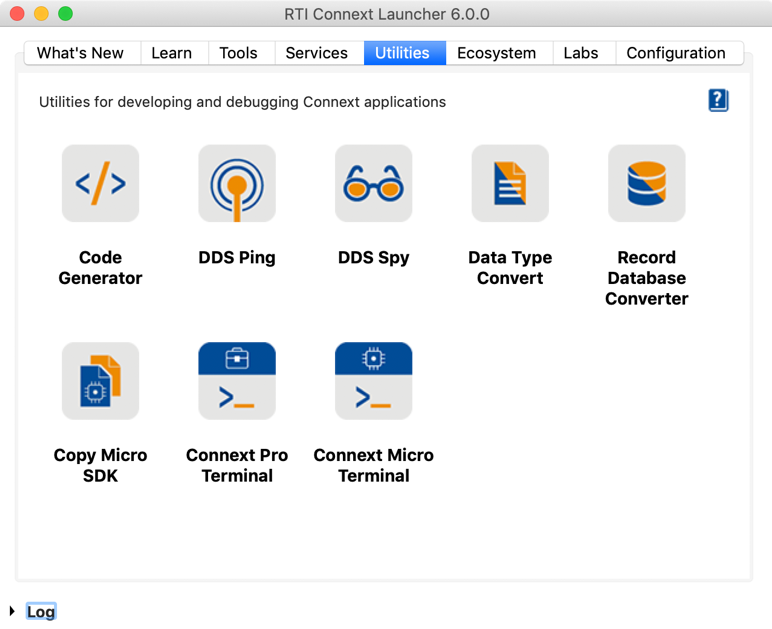 RTI provides an instrumentation package in addition to the Connext DDS libraries. The package can produce a wealth of real-time performance data from the running applications and publish this data to the Monitor. The instrumentation has minimal performance overhead for applications. Distributed Logger delivers real-time notifications when error or warning conditions occur anywhere in the DDS environment. It enables applications to log messages using existing logging infrastructure and to publish them to the Connext Databus. It also publishes Connext DDS log messages to the same topics. 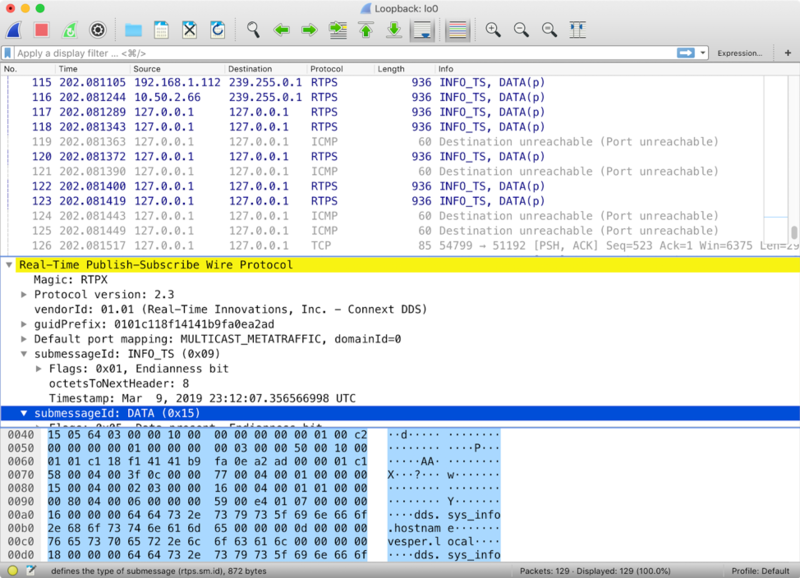 Warnings and errors are correlated from Connext DDS with log messages from applications, greatly aiding troubleshooting. All the log messages can be centrally collected and saved for later analysis and troubleshooting. Both Administration Console and Monitor can be used to see and analyze the messages. Turn your spreadsheets into powerful analytic and visualization capability for your IIoT systems. 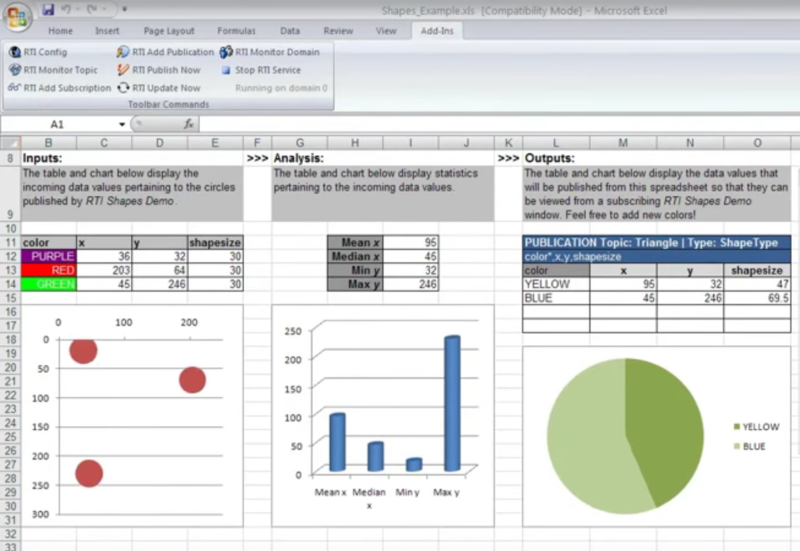 RTI Add-in for Microsoft Excel provides turnkey, bi-directional integration between Connext DDS and Microsoft Excel. See your IIoT data in spreadsheets as cells, formulas and charts come to life with real-time data streams. Get your entire team up to speed with DDS fundamentals quickly! 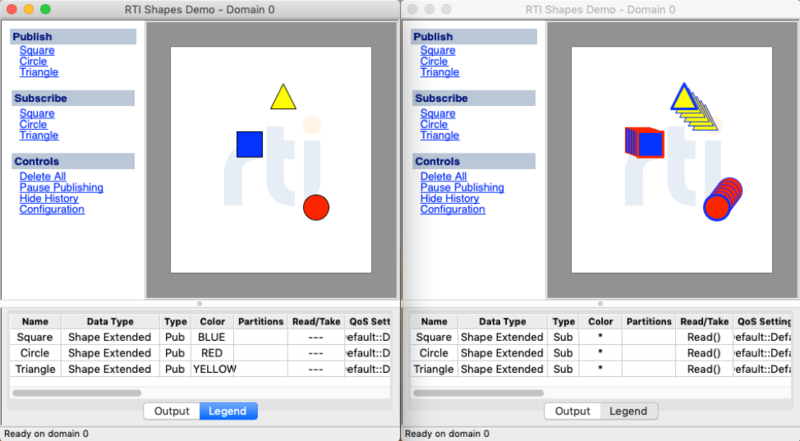 RTI Shapes Demo is a powerful learning tool for understanding the DDS concepts, such as publish-subscribe messaging, data centricity and Quality of Service (QoS). Shapes is a visually appealing, game-like application that allows you to experiment by modeling the desired behavior without coding. It is suitable for users of any level and does not require programming skills or prior DDS knowledge. DDS Ping can help discover quickly if firewall settings on the network are preventing DDS discovery traffic. 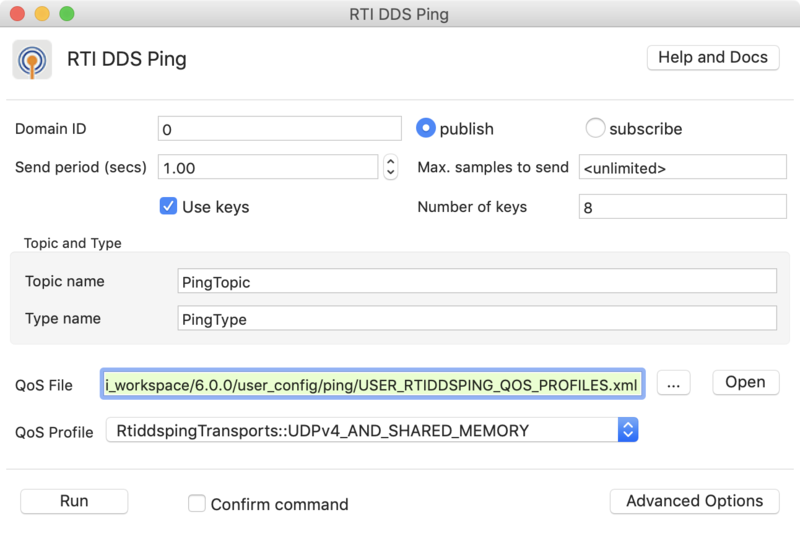 While the standard ping utility can confirm basic reachability between machines, it cannot check if the ports needed for DDS discovery are open. 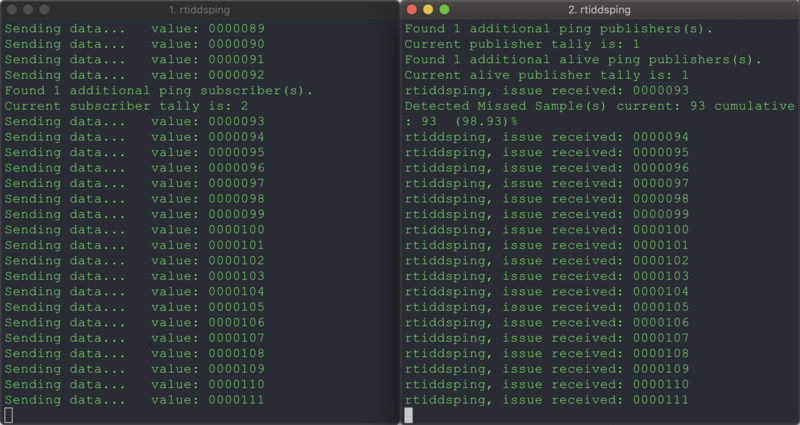 DDS Ping (rtiddsping) utility does exactly that. 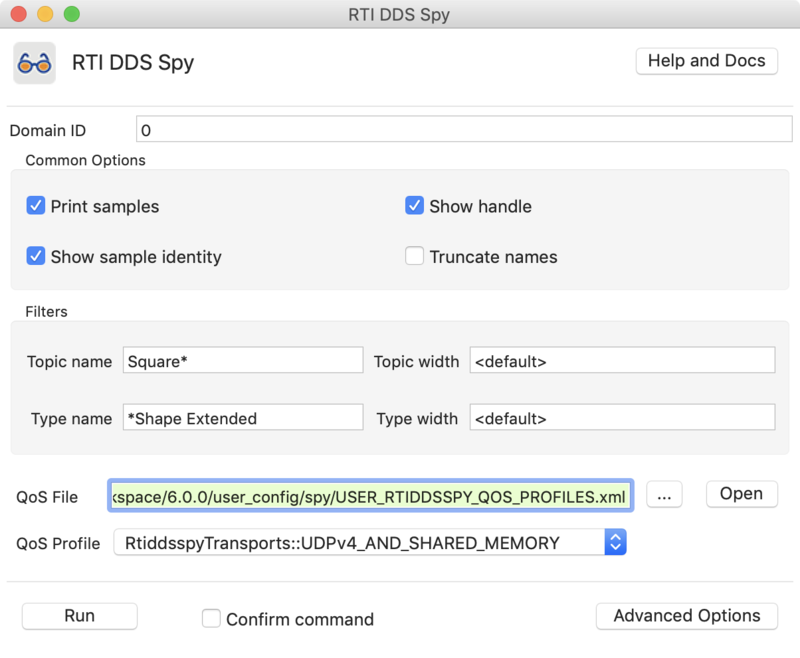 DDS Spy enables inspection of data that applications are publishing. 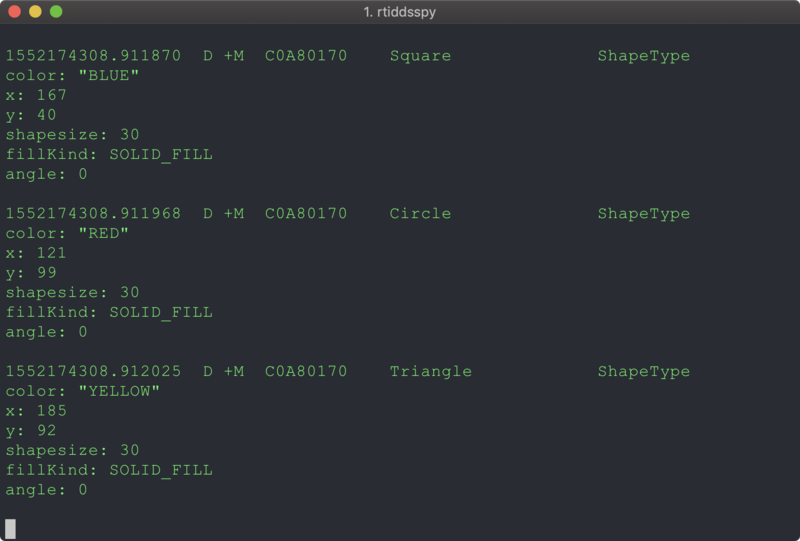 It is a command-line utility that can subscribe to select DDS topics and display data samples it receives to the terminal.